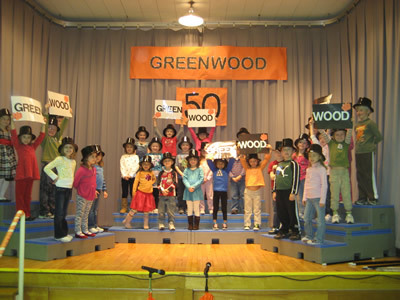 Greenwood Early Learning Center services students from preschool to kindergarten. The Developmental Early Childhood Program is available free of charge to children ages 3-5 who currently have a disability in one or more areas of development and on a tuition basis for typically-developing preschoolers living within the City of Green. Applications for typically developing students are accepted beginning on our first day back from winter break. Registration for kindergarten begins online in March. Students enrolling for kindergarten must be 5 years of age by August 1st. More information about our preschool and kindergarten programs can be found on the parent information page. Greenwood Early Learning Center will post news and other information on Facebook in an effort to keep parents up to date on pertinent information. Want to join in? "Like" us on Facebook with the link below. How do I access student information in ProgressBook? How do I access the Kindergarten report card in ProgressBook? For your convenience, the school's health care forms are available below. You may print the forms at home and bring them to the school clinic after they are completed by the doctor. If you are not sure which form(s) you need, please feel free to call the Greenwood Clinic (330-899-8795) first to save time and extra trips.